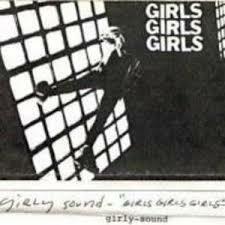 I think it was Ranjit who sent me a copy of Liz Phair’s Girlysound tape. This was, of course, after Exile in Guyville came out, and definitely after he and I had met in person after becoming friends on Prodigy’s Replacements bulletin board. I got quite a few tapes (and hopefully sent a few) that way. People who I met online from all over the country exchanging music with people who were otherwise just words on a low-rez computer screen, and without even the benefit of avatars or bios or anything, you had to determine who you liked or disliked just by the words they wrote.